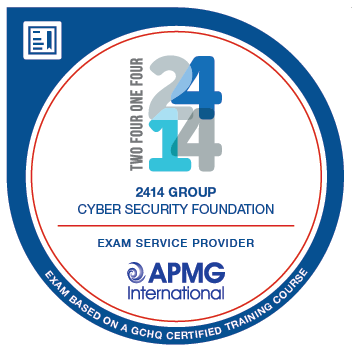 Badge holders have passed an APMG-International examination based on the GCHQ Certified Training course entitled Cyber Security Foundation - delivered by 2414 Group. Badge holders have passed a multiple choice exam, scoring a minimum of 25 out of 50 marks available (50%). The exam is closed-book, 60 minutes in duration.